Although paid search can sometimes seem like more of an outbound marketing tool, it is actually a beneficial supporting piece of an inbound marketing strategy. When used correctly for inbound marketing, you could lower the cost when compared to traditional PPC campaigns by changing your goals. By switching your goals from increased click volume to qualified leads and traffic, you are able to use paid search as a valuable asset for your company. Many paid search campaigns focus on the volume of visitors they drive to a site. While this increased visibility is good, when you are paying per click, you want to ensure that the people who click are worth your money. When you apply inbound marketing tactics to a paid search strategy, you end up with visitors who are more qualified and likely to become an actual lead that by using traditional outbound techniques. Inbound marketing campaigns are usually focused on specific pieces of content which are designed to guide visitors down a path from lead to customer to promoter. 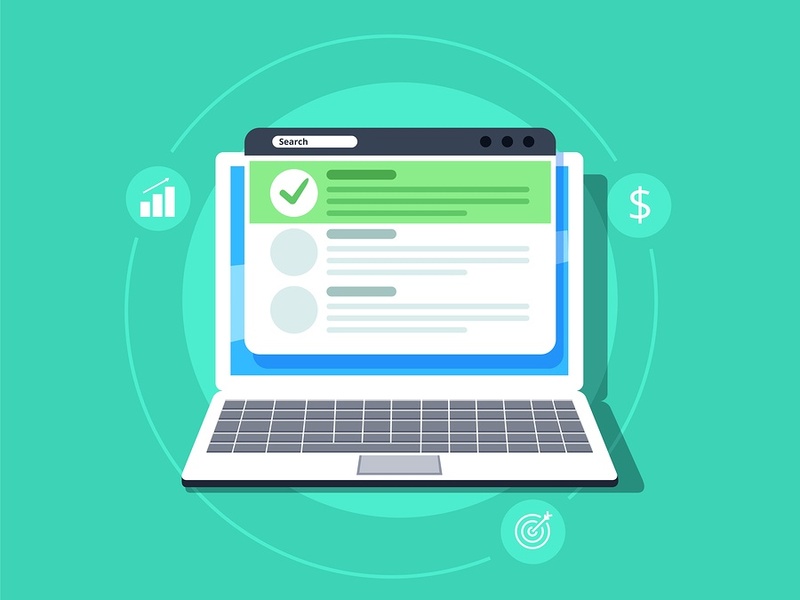 Paid search campaigns can be used to attract specific visitors to each piece of the campaign, which could include landing pages, blog posts, or content offers. These paid search campaigns serve a unique purpose, instead of just trying to drive generic traffic back to your site. The best way to create successful paid search campaigns is to tailor them to your ideal customer. Download our free Buyer Persona template to create yours! You can use Inbound Marketing in your paid search campaigns by changing your strategy for the keywords you target. Instead of trying to rank for generic keywords that relate to your business, try creating campaigns that use keywords that are associated with a content offer or download you utilize in your Inbound Marketing strategy. For example, one of our content offers is a Buyer Persona template. This template helps businesses determine who their ideal customer is and what problem they need solved. Instead of running a campaign targeting broad keywords such as marketing or web design, we could try to find people who are searching for ways to build an audience or how to reach their ideal customer. Although we may get less overall leads by targeting this group, we will be getting much more qualified leads. These leads are looking for ways to define their target audience and thus will be more likely to be interested in our content offer.. Integrating Inbound Marketing into a paid search campaign allows you to reach people who are searching for what you have to offer and have the potential to become a lead and a customer instead of pushing yourself on people who may not necessarily be interested in what your business has to offer. Another important part of a paid search campaign is where your visitor ends up after clicking on your site. Instead of taking your potential leads to your home page, you should be taking them to a dedicated landing page for that specific paid search campaign. As we mentioned above, each ad should be promising your targeted audience specific information. When they click on your link, they don’t want to have to search through your entire website to find this information. Chances are, they will get frustrated and return to their search, which means you will have lost them as a lead. By creating a landing page that is dedicated to that specific ad, you will be giving your potential lead the exact information you promised. Each landing page should provide a clear way to download or receive the promised information, such as a obvious download button, link, or form. Best practices for landing pages state that you could even remove your regular site navigation so that there are no distractions for your potential lead. Their path should guide them towards the next step, which is downloading an offer or filling out a form. By adding site navigation, you increase the chances of them leaving the page before completing the desired goal. Once a visitor has downloaded the information or filled out the form by providing their contact information, they are then considered a lead and your paid search campaign has done its job! By using your paid search campaigns as a step in an overall Inbound Marketing campaign, you can successfully guide visitors through a buyer’s journey and towards becoming visitors, leads, customers, and promoters.